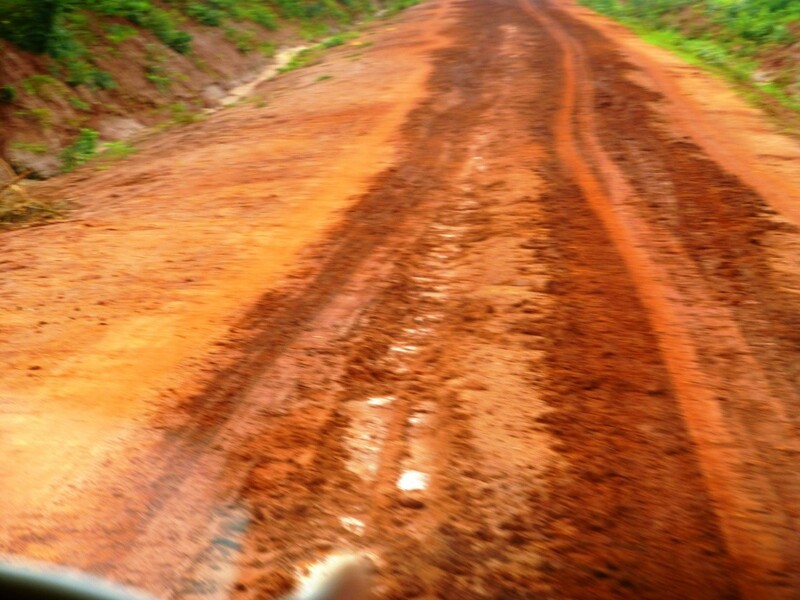 On the flipside, I returned to a Malawi widely devastated by flooding from torrential rains. Accurate loss of lives, homes, crops, livestock, etc. have yet to be assessed. Though the rains have stopped in some areas, the ravaged land and people will continue to suffer for quite some time.Moving forward, the task will be to strategize for the future of the affected ones, and to rebuild homes, roads,and, in some cases,move entire villages to higher ground permanently. As a volunteer with World Relief Malawi, it is my role to serve in the capacity most useful to the organization and which utilizes my gifts of ministry. I am excited to share with you that I am now moving into the role of Discipleship Training Coordinator where I will be working with women and teens to deepen their understanding of God, to grow in their relationships with Him, and to love and serve others in their homes and communities. This is an area I am passionate about and for which God has been preparing me. With the great blessing of my “new” 4 wheel drive vehicle, I will now be able to access those hard-to-reach communities. Additionally, I will continue to be a part of the team which accompanies our church partners when they come to Malawi for Ministry Trips. families, neighbors and churches. I look forward to sharing those stories with you as they unfold. -Please pray for the reconstruction work to be done in a timely manner and for those who have lost loved ones, homes, means of income, or perhaps everything they owned. -I would appreciate your prayers for the Discipleship Trainings. That God would go ahead of me to prepare hearts to receive the message, and that I would be a teachable teacher and would be humble and wise. Capetown, S.Africa. 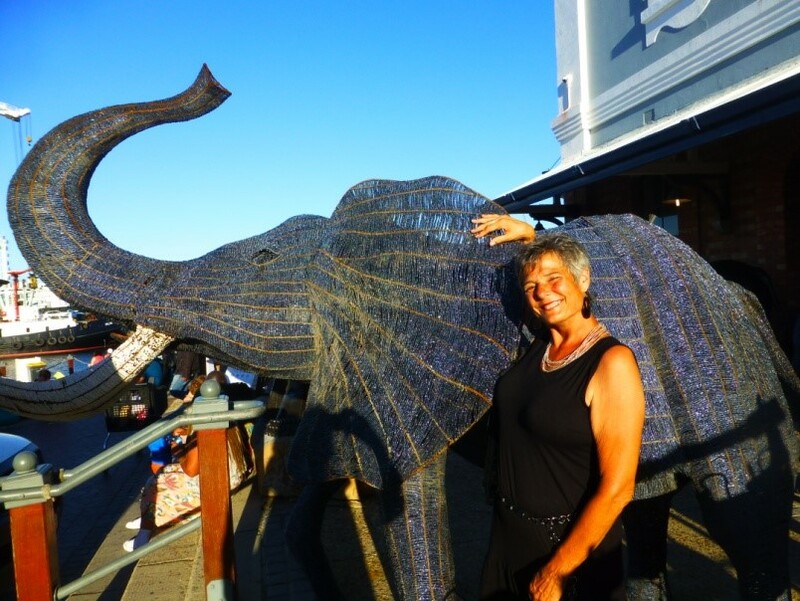 The elephant made of beads.=If you’ve never been,put it on your bucket list – it’s AMAZING! It is Easter Sunday, 2014. I am house-sitting for friends, luxuriating in the exquisite beauty of Bach’s Mass in B Minor, and pondering God’s great blessings as I celebrate the resurrection of Jesus Christ this day. In a parallel way, I too have been brought back from the dead-end life I lived for so many wasted years. A shallow, selfish life – foolishly, blindly thinking I was the master of my destiny, and cutoff from the Source of true and abundant Life. Like a two-year old, full of arrogance, I was convinced I didn’t need or want God and I could “do it my own self!” Through many painful lessons, mostly of my own making, God has brought me to a place of humility and recognition that without Him, I am nothing, and can do nothing that will matter in With Him, I can do all things in His Strength – in LOVE – the only thing that has any lasting merit or significance in this life. “And they will know we are Christians by our LOVE – not our judgment, opinions, doctrines, self-righteous, finger-pointing dogmas – but by the unconditional LOVE of Jesus expressed in Word and Deed. I still have a long way to go. I still falter and fail, but “I press on to take hold of that for which Christ Jesus took hold of me.” Today I remember, and thank God from whence I have come and his grace to me. God said it when He sent his Son to earth to show us. The Beatles said it centuries later, to those of my generation – All you need is Love. Forgive my long silence these past months. So much of what I do at work involves writing and editing, that I seem to be out of words when it comes to my own, personal writing. You will discover that I have more than made up for several newsletters-worth in this one! I am alive and well, and loving what is now more than 2 ½ years in my Malawian home, serving the most vulnerable through the integrated programs of World Relief, teaching them to combat the spirit of poverty -to live purposeful, Spirit-filled, hopeful lives – lives of 180 degree transformations. I have seen lives changed in ways that could only have come from a loving God who makes all things new. 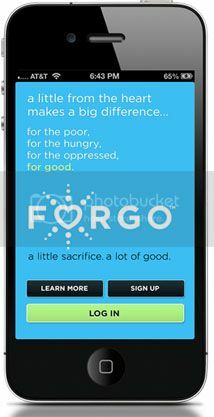 Now those lives are in turn, blessing others as they have been blessed! In and through my time here, I have experienced unspeakably sorrowful events, like the father carrying his 8 yr. old son who flagged us down on our way back from the field. The father had reached the “main” road after carrying the boy over 3 miles. We dropped them off at the hospital another 3 miles further. Fifteen min. later, the boy was dead. I was shattered. I have also experienced joy of incomparable dimensions as I witnessed the death to life experience of a 35 year old mother who had AIDS and would have died but for the loving kindness of Christian neighbors who took it upon themselves to love on her and her family after the husband died of AIDS and she was also exhibiting the same symptoms. After being tested positive for the killer virus, she joined the support group who taught her to live POSITIVELY despite her status, and she now serves other women, encouraging them to be tested and to access life-saving meds. She owns her own produce business, supports her immediate and extended families, and teaches her sisters how to keep bees so they can do the same. Her smile and gratitude are enviably unbounded and infectious. These events, multiplied countless times over the weeks and months are now the essence of my everyday life, repeated over and over. I still don’t have a handle on how to handle these disparate emotions, but I do know that in each case, God has a plan far beyond my intellectual comprehension, and is that which lies in the area of FAITH, not sight. Since August I have “adopted” a young woman and her baby daughter, now 17 months old – Matilda and Jasmine who were homeless and hopelessly on the streets after Matilda’s cousin threatened to kill her baby out of jealousy. God, literally and unmistakably put her in my path, and said “This one.” She and I have become very close, and Jasmine now calls me Gogo (Malawian Grandma). I am so privileged to see them both grow and blossom with a few dollars and lots of love. Please pray for them as I get ready to leave for the US on May 20th for 7 months while I take my furlough. It will be difficult for us to say goodbye, but am trusting that the same Father who brought us together will sustain them in my absence. I had originally planned my departure for June 21st, but recently found out that the colon cancer, for which my Dad had 2 surgeries in Nov. and Dec. 2012, has now resurfaced on his liver. To all appearances, he feels and looks good at almost 90. He, and us kids, has agreed to minimal intervention that he might live out his days enjoying himself and his family for as long as God permits. We have plans to attend my eldest nephew, Sebastian’s graduation from pilot training from Vance Air Force Base in early July, followed by a week’ family vacation in our beloved Colorado near Estes Park. Then in early July, my dear Uncle and Aunt have arranged for a Nagel Family Reunion/multiple Birthday celebrations at a lovely house on the beach in Hilton Head, SC – Uncle Don recently turned 80, Aunt Joyce will be 80 July 26th , a day later I will turn 60 and Dad will be 90 in late Sept.!!! We have much to celebrate and are so thankful for all these years together. Please pray for wisdom for medical decisions and precious times as family-for healing and the peace to accept with grace, that which God deems best. In conclusion, I will make every effort to see each one of you on my trip to the US. I plan to return to Malawi for another, as yet, undetermined period, as it is now very much my “home.” You can always contact me at rnagel@wr.org . Below are a smattering of recent photos. Pictures DO paint a thousand words. You are all so dear to me and I can never tell you or thank you enough for being a part of my life. Please write and let me know how to specifically pray for you. Young girls taking a break from carrying firewood on their heads. 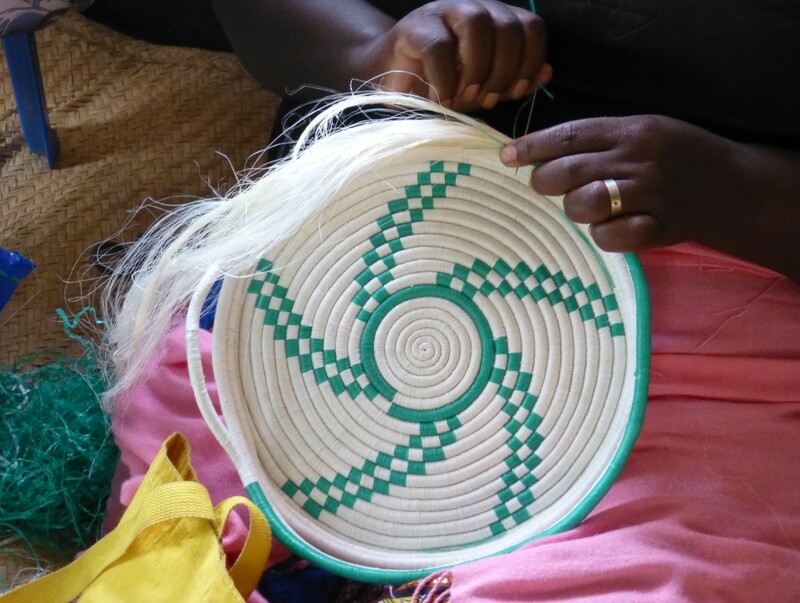 Refugee woman making basket from sisal plant. My friend Lazaro with his Mom and Dad. Hopefully he will be going to the US later this year have several plastic surgeries. Moni Nonse – Hello Everyone! Most of you are buttoning up your overcoats, but me, I’m sweltering in 100 degree heat. Makes it hard to think that Thanksgiving and Christmas are just around the corner! Thanksgiving is my favorite American holiday. I love spending the day with family – preparing dinner, laughing, catching up, playing games, eating amazing food, taking the post-meal nap – no gift hype – just family and good friends. My favorite part is when we are gathered at the table and each person names things we’re most thankful for. I won’t be at that table this year, so I am envisioning a HUGE table with all of you seated around it, thanking God for all of YOU in my life! ‘Twas the season for church partners to come to Malawi to both see how their partnerships have enabled World Relief to expand their spheres of influence, and also to lead training sessions within those same communities – the better to deepen relationships and their understanding. 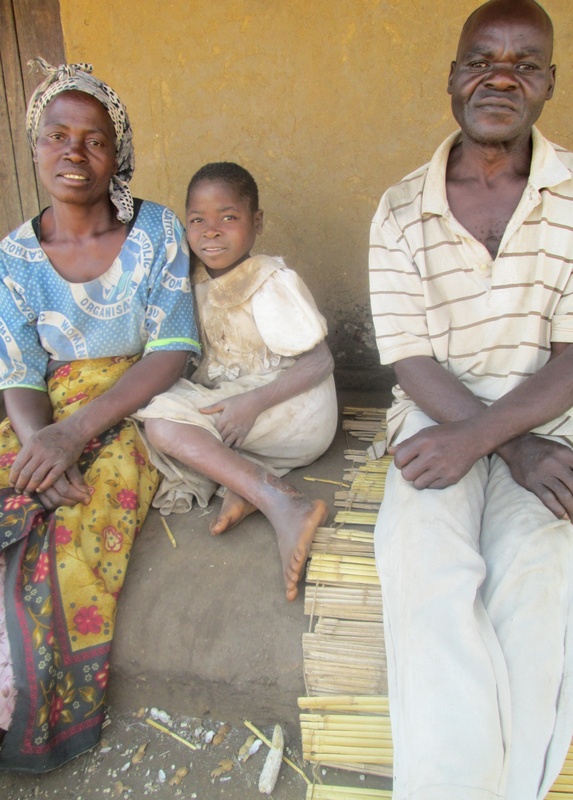 In October a group came from 2nd Presbyterian Church in Memphis to serve in Ntchisi District. Pastor Graham did a 3-day training for pastors. He was astonished at the low-level of training these pastors receive, and how they soak up the teachings like sponges – desiring more. The other training conducted was of the caregivers for the Community-based Childcare Centers (pre-schools). These men and women are all volunteers who have received but very basic training and so have very limited skills and resources. They were so pleased to learn simple, interactive, educational games. They laughed, they cheered – they had a blast! It was particularly rewarding to see that many of the caregivers are men and are very committed to these kids and their growth, not only in academic education, but tying in spiritual lessons at every opportunity. PRAISES – One of the WR field coordinators told me about an 8 yr. old girl he came across that had a deep leg wound that wouldn’t heal. She had been to the local hospital, but they hadn’t done anything significant. 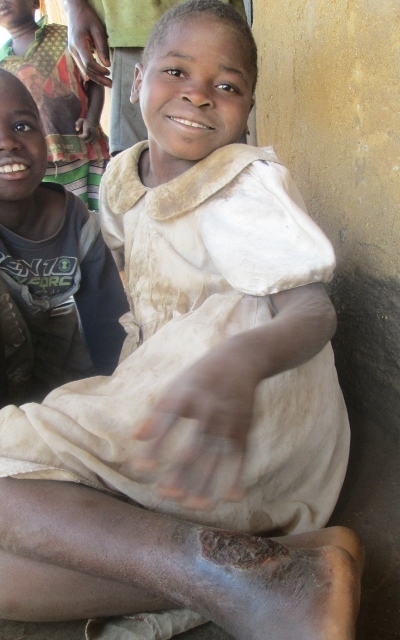 The wound was months old and getting worse to the point that she was unable to go to school or church. Her peers were steering clear of and taunting her because of the smell. 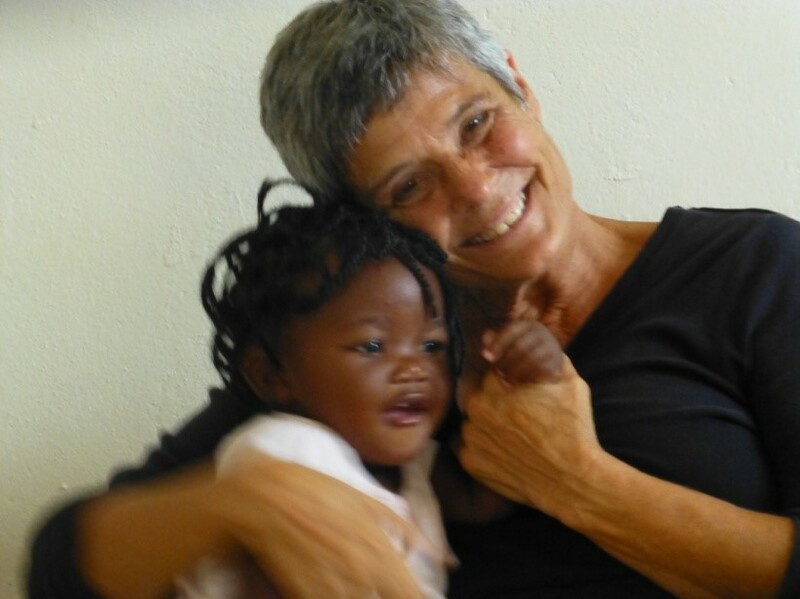 I was able to pick her up at a very remote location, bring her to Lilongwe to Partners in Hope, an excellent clinic. Dr. Jansen had to anesthetize her, scrub out the wound (fortunately it had not reached the bone) and show her brother how to clean and bandage it. Recently I took her back to Dr. Jansen. We were both amazed at how the wound has now closed over completely! She is back in school and church and is a very happy girl. What a joy to have been part of her happy ending. Wonder how many other “Joyce’s” are out there without anyone to attend to them? 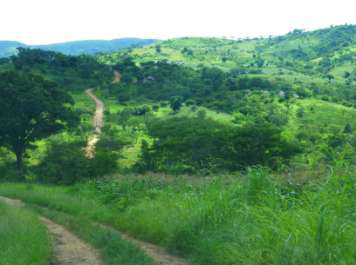 PRAYER REQUESTS – As the rainy season approaches, most field communities become impossibly impassible – which, for me means more time in the office. 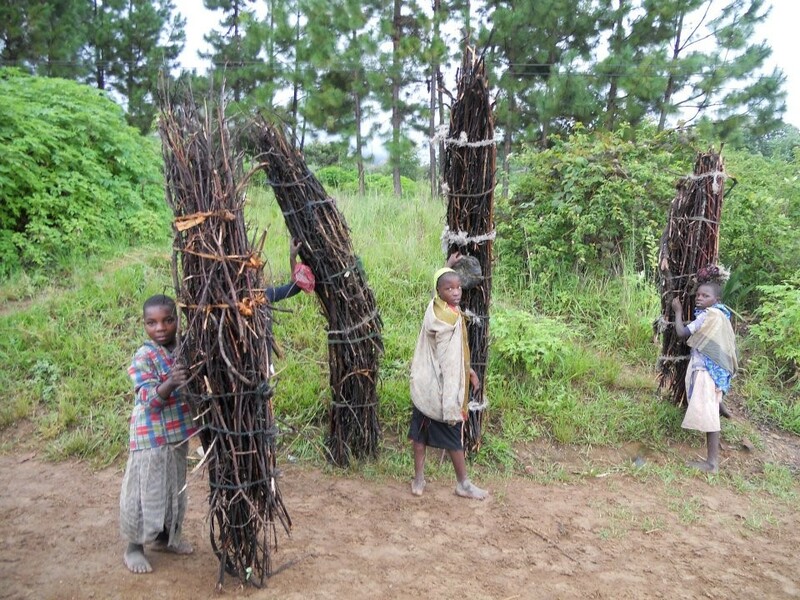 Rainy season here is very important to the majority of people who are subsistence farmers. It could be literally feast or famine. Please pray for good rains. Also, rumor has it that Malawi is about to experience another fuel crisis. Prices have already increased. When this happened before, it was a tremendous hardship for all of us who experienced L-O-N-G lines and lots of wasted time.. PLEASE do pray that somehow this can be averted. Don’t really know the ins and outs of why, but God can overrule whatever those reasons are. 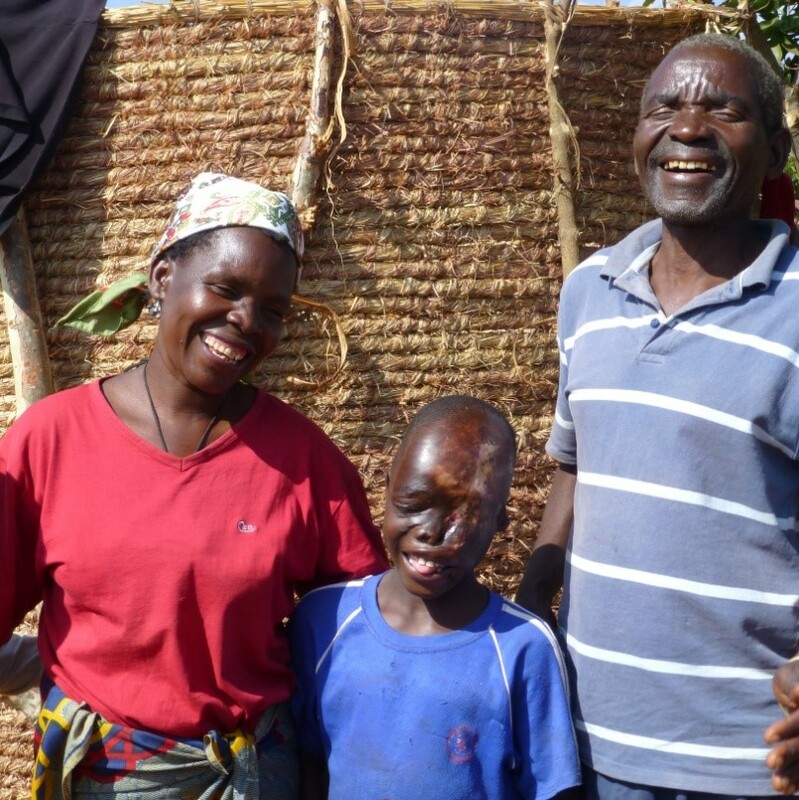 In September I celebrated 2 years in Malawi – time for a hoIiday! I will take a Christmas break and go to Cape town, S. Africa, with 2 S. African friends as my hosts and guides. I am looking forward to seeing a MOVIE in a THEATER, and seeing the beautiful sites there – mountains AND ocean! With that said, I wish you all a Blessed Thanksgiving and Christmas. May you take the time to contemplate in a deeper way, the indescribable gift of Jesus and may the world know of Christ and His Love because of you!